Fill up your office, collectibles room or space station with this wallpaper by Super 7. 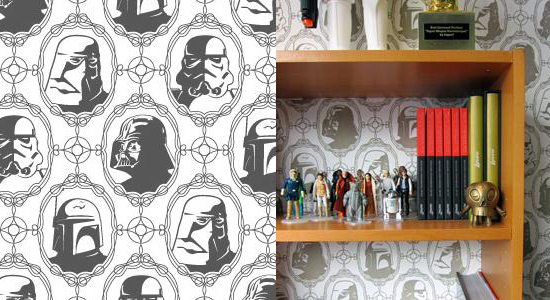 These hand screened wallpaper features textured portraits of Darth Vader, Boba Fett, and members of the Empire. Buy them on Super 7.